An efficiency review of old-school eChecks and new-age Interac Online casino deposits in 2019. The world around us is constantly changing and evolving. Digital technology is the driving force behind today’s modern society. It’s how we work; how we play; how we pay and get paid. Where would be be if we woke up tomorrow and no longer had mobile phones or online banking services? Many of us grew up without these things. We could surely revert and adapt, as much as it might inconvenience us for time. For the millennial generation, however, life as they know it would cease to exist, as would many of the digital industries that have surfaced over the last two decades. The internet gambling industry would be in shambles. 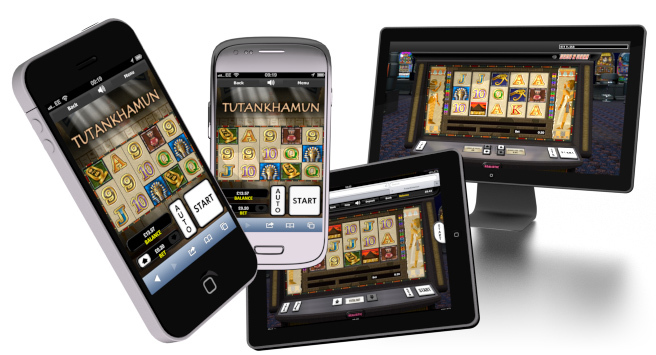 Sure, we don’t need smartphones to gamble online. People did it for more than 10 years before the first smartphone came along. But we do need internet banking capabilities. Most Canadians who gamble online access websites licensed and regulated in distant countries. Imagine how long it would take to snail-mail a cheque…? Today we have access to everything from Credit Card and Debit Card deposits, to Electronic Checks (eChecks) and Interac Online money transfers. But as usual, the more choices we are given, the more uncertainty we feel in making a choice. Which is the right choice; the best choice; the fastest or most secure choice? Today we’re going to compare two very popular methods for iGaming deposits. One is an old-school method that’s been favored for years, known as an eCheck. The other is a more recent addition available only to Canadian players, known as Interac Online. To keep this as simple and easy to disseminate as possible, I’ve divided this comparative review into the most important categories; the things experienced online gamblers look for first in a preferred payment method. They include security, ease of use, and speed of deposits. Obviously, safety and security are of utmost importance when selecting an online casino deposit method. How do these two stack up? eChecks Security: While this method has been proven safe and successful for many years, it does require divulging sensitive financial information, including your personal bank account number. The actual transfer process is 100% secure, but if the online casino’s website or your computer/mobile device have been compromised, say “au revoir” to your personal information. Interac Online Security: This category goes to Interac all the way. No financial information is ever shared between the user and operator. It’s the same background process as an e-transfer, without the transmission of sensitive details. If a deposit method is too complicated, it loses its label of convenience. And we all know today’s iGaming industry thrives on convenience! Ease of eChecks: Electronic cheques are super easy – if you already use paper checques. Otherwise, you’ll need to call or visit your bank for some information first. To make an eCheck casino deposit, you’ll need to provide your bank’s routing number and your bank account number; both found on paper checques. Enter any other required info and the amount to deposit, then press submit. Ease of Interac Online: This method is extremely easy, so long as the casino you’re depositing with supports Interac’s Autodeposit feature. This is generally the difference between standard ‘Interac deposits‘ and ‘Interac Online deposits‘. So make sure the casino advertises ‘Interac Online‘ version. Interac Online purchases are submitted directly on the casino website, but without providing sensitive details. Choose Deposit, select Interac Online, then choose the logo of your financial institution from the list. You’ll be redirected to your bank’s website to log in and complete the purchase. Above, I mentioned the potential horror of sending a snail-mail checque to offshore casinos. Clearly we are a society that expects, nay demands. promptness in all things. Thus our final comparison revolves around expedience. eCheck and Interac Online Speed: I’m grouping these two, because they both work the same way, and take the same amount of time. None! eChecks and Interac Online casino deposits are both forms of e-transfers; an instant deposit method. The casino pings a request for the money to the bank, and the bank pings back a response of sufficient or insufficient funds. If sufficient, the casino credits the player with the money for immediate use, even though it will take a few days for the funds to actually arrive from customer’s bank. Royal Vegas Canada has been our editor’s #1 pick for three consecutive years ! Great compatibility of course (iphones, mobiles and tablets) but also an exciting range of games and promotions. Excellent support teams and quick cashouts… What else to ask for ? Tablet Casino Canada Copyright © 2019. Theme by MyThemeShop.